In a recent study published in PLOS One, researchers surveyed physicians across the United States to ask about their perspectives on unnecessary medical care. These physicians reported that more than 20% of overall medical care was not needed. This included about a quarter of tests, more than a fifth of prescriptions, and more than a 10th of procedures. Of course, physicians ordered all of this care. When asked why they would do it, knowing it was unnecessary, the most common reason cited (85%) was a fear of being sued for malpractice. Research shows, though, that “defensive medicine,” as this practice known, likely accounts for far less wasted spending than we think. When physicians practice in areas with a lower risk of lawsuits, their overall practice doesn’t change that much. Another study in JAMA Internal Medicine showed that although a lot of care may be ordered in part because of defensive medicine, wasted care ordered only because of fear of lawsuits comprised less than 3% of overall costs. The second most common reason cited in the survey was that patients wanted the care, even if it wasn’t necessary. Again, though, research shows that doctors often overestimate how much care their patients really want. Believing they want it, they often advocate for it, and then patients mistakenly believe that care is necessary. Earlier this year, H. Gilbert Welch, MD, MPH, and Elliott Fisher, MD, MPH, wrote in the New England Journal of Medicine about how overdiagnosis is one of the few areas where having a higher income may be detrimental for patients. For years we’ve known that the incidence of breast cancer, prostate cancer, thyroid cancer, and melanoma have been rising. There hasn’t, however, been a parallel increase in cancer-specific mortality. This implied that many cases are being picked up, likely through screening, that didn’t need to be. Welch and Fisher looked further for differences in the incidence of cancer in counties of different incomes. They found that that high-income counties saw a significantly greater increase in the incidence of all 4 cancers compared with low-income counties. They hypothesized that people with more money are likely to be screened more often and by more advanced methods. This leads to more overdiagnosis. It’s not clear whether these patients are demanding more screening or whether the health care system is pushing it on them. It’s likely a combination of both. Numerous attempts have been made over the years to try and warn both physicians and the public about low-value care. The most widely known in recent years is Choosing Wisely, an initiative of the American Board of Internal Medicine’s ABIM Foundation, which has managed to get many professional societies to identify lists of tests or procedures that their members might commonly perform but which should be questioned. It’s too early to know how much of a difference this program might have, but even now, skeptics exist. Some have noted that when societies identify care that is of low value, it’s often provided by other specialties. Proceduralists are quick to identify imaging tests and drugs that are of little use, but rarely name procedures as “low value,” even after many have been shown in randomized controlled trials to have little actual benefit. The elephant in the room—sometimes—is, of course, money. Some physicians have a direct financial conflict of interest in making decisions as to what patients should receive. Physicians who own surgical, laboratory, or radiological centers receive extra compensation from the services they advocate for their patients. The recent survey found that more than 70% of physicians believe that physicians are more likely to perform unnecessary procedures when they profit from them. More pervasively, the entire health care system is subtly and indirectly influenced by reimbursement. We are all paid when we provide care, in some way. When we get patients to consume more of it, there’s more revenue. The problem is that this care isn’t necessarily benign. Drugs have adverse effects. Diagnoses cause worry and also can lead to more and more invasive interventions. Procedures may have adverse outcomes, sometimes serious ones. Drugs, tests, and procedures that aren’t necessary provide no benefit. Therefore, by definition, the cost of these drugs, tests, and procedures—in adverse effects, time, and money—outweigh the benefits. We can try to justify the rationale for this in some defensive language, but at its core, all we are doing is causing harm. Unnecessary care is expensive. In a 2013 report, the Institute of Medicine argued that “unnecessary services” added $210 billion to health care spending in the United States, making it the single biggest contributor to waste. Even if we could eliminate some of this, it would represent a significant sum of money that we could dedicate to care that actually works. There are things we can do to mitigate this problem. We can educate the public better on the issue of low-value care, stressing the harms, both financial and health-related. We can minimize the financial incentives of providing unnecessary treatments, by identifying conflicts of interest and making hospitals and physicians more responsible for some of the decisions they make. We could also push for insurance reform that refuses to pay for care that’s not needed, making everyone think twice before employing it. It will likely take changes on all these fronts to make a real difference. Corresponding Author: Aaron E. Carroll, MD, MS (aaecarro@iu.edu). Published Online: September 27, 2017, at https://newsatjama.jama.com/category/the-jama-forum/. 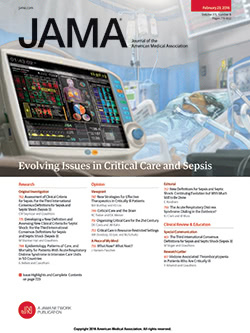 Additional Information: Information about The JAMA Forum, including disclosures of potential conflicts of interest, is available at https://newsatjama.jama.com/about/. Note: Source references are available through embedded hyperlinks in the article text online.